Bitter and merciless war is coming to the frozen north. It's bloody and dangerous, and the Union army, split by politics and hamstrung by incompetence, is unprepared for the slaughter that's coming. Lacking experience, training, and in some cases even weapons, the army is scarcely equipped to repel Bethod's scouts, let alone his elite forces. In the heat-ravaged south, the Gurkish are massing to assault the city of Dagoska, defended by Inquisitor Glokta. 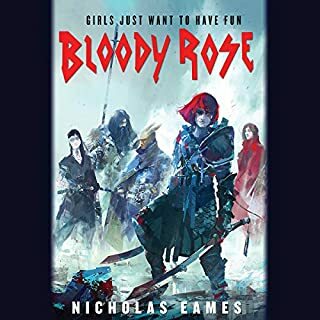 The city is braced for the inevitable defeat and massacre to come... but a plot is festering to hand the city to its besiegers without a fight, and the previous Inquisitor of Dagoska vanished without trace. Threatened from within and without the city, Glokta needs answers, and he needs them soon. And to the east, a small band of malefactors travel to the edge of the world to reclaim a device from history - a Seed, hidden for generations - with tremendous destructive potential. A device which could put a end to war, to the army of Eaters in the South, to the invasion of Shanka from the North - but only if it can be found, and only if its power can be controlled. Great story and absolutely phenomenal narration. A fantastic middle book in the series that continued to develop the characters and world. There are many main characters. I got to a point mid way in that I realised any of them could die at any time. Near the end of the second book, I realised I dont much care either way. Any one of them could die and I wouldnt mind. The couple i somewhat care about are the most likely to die. I dont think I will be happy with whoever come out on top. I dont really like any of them. In some way or another all of the main characters are terrible people. Im about 5 hours from the end. Ive decided to stop listening. The story has taken a very different direction then I was hoping. Second verse even better than the first! Great story, can't wait for the next one, and Steven Pacey is a smooth and lively reader. 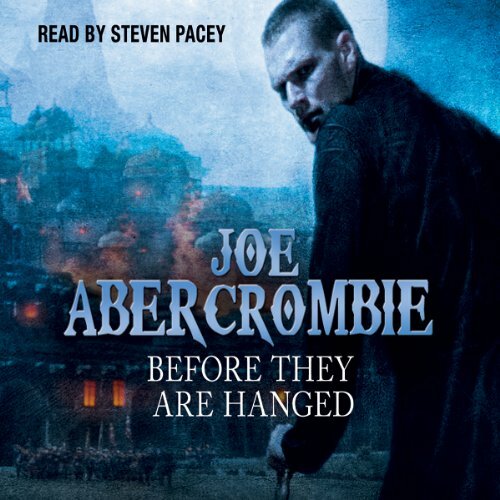 Another solid performance from Mr. Steven Pacey and an amazing tale from Joe Abercrombie! great books, original & enthralling storyline with amazing characters. 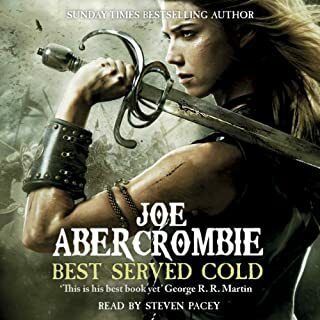 pretty sexist tbh, the only female characters are incredibly 2-d.
Joe Abercrombie is now on my list of writers to watch and Steven Pacey is superb. 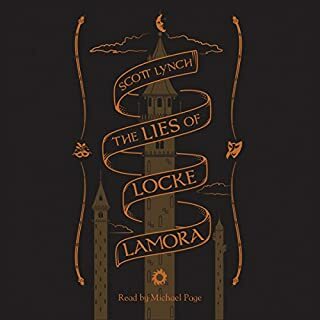 I've recommended this trilogy to friends, and the audio version is a must. 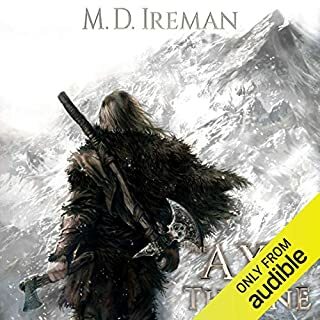 Thanks to audible readers who mentioned Joe Abercrombie in their comments on other books or I would never have stumbled across this great trilogy. Abercrombie plays hardball. The moment you think you are getting ahead of the plot; as soon as it becomes obvious who is going to survive and who is not; an instant after you sigh with understanding and a knowing nod of the head, a new window opens, perspective changes, and everything in the room makes a new and different kind of sense. Finally you just quit trying to suss it all out, accept the fact that you are in the hands of a master, and listen--rapt. 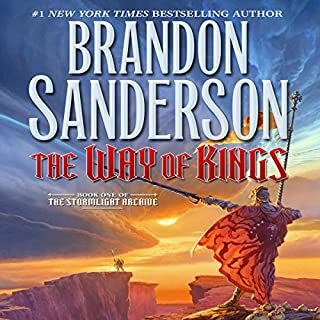 I have finished the first two books now and have no idea where this is going. I just know that I will be fascinated and satisfied when we arrive. Steven Pacey is flawless. Exactly the narrator Abercrombie deserves. And all for less than ten dollars a book. This is heaven!! Two caveats: under no circumstances should you read these books out of order, and if you have problems reading descriptions of brutality or tolerating common, sexually descriptive language, just don't bother starting. 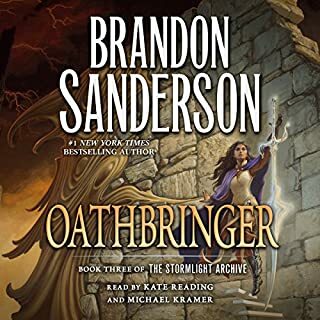 Much like at the end of the first book in this series, I found myself completely caught by surprise when this book ended. 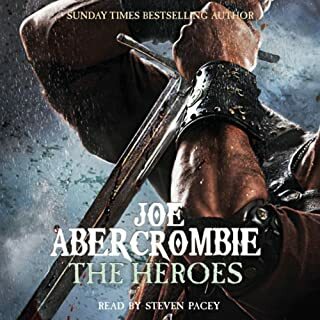 Once again I was entranced by Joe Abercrombie’s characters and the life infused into them by Steven Pacey and it was jarring to abruptly be forced to return to real life. I say abruptly because there is no closure to the story arc with this book. If you decide to come this far then you will need to go further to sate your hunger for an outcome to the many story threads. Book two follows Bayaz, Logen, Jezal, and Ferro on their quest to the edge of the world for a powerful artifact. Of course this is a volatile mix of personalities and the only time they aren’t close to killing each other is when someone else is trying to do the job for them. 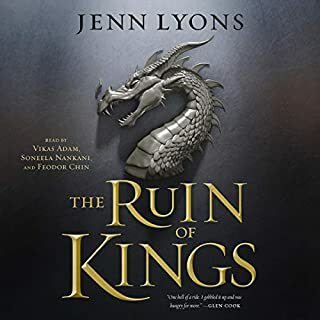 The Union’s war in the North continues and Collem West finds himself entangled within a dysfunctional military leadership group facing a deadly enemy in Bethod and his assembled armies. With two Generals that spend more time opposing each other than the enemy and a useless, spoiled Prince the Union army is primed to destroy itself. And finally, our old friend Glokta finds himself in the South tasked with preventing the Gurkish from taking the city of Dagoska. 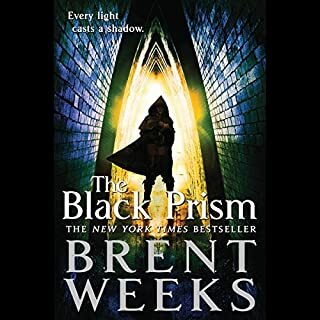 As a war starts up on a second, much less defended front, Glokta must fight his own demons from the past as a prisoner of the Gurkish in addition to the Gurkish themselves. I was pleased with the increased amount of time spent with Logen’s former band of Northmen, which is now led by Threetrees. As with all of the other story threads I was always eager to find out what happened to them next and was always saddened anytime someone was sent back to the mud. I am amazed once again by the high quality of this trilogy! Rather than disappoint, like so many sequels, Before They Are Hanged is even better than its predecessor! Joe Abercrombie's writing and characters are so interesting that I really have no 'favorite' parts. No matter which group of characters or storyline the plot is following, I am totally entertained and invested and can't wait to find out what happens next! Abercrombie's battle and fight scenes are particularly well written and evoke strong pictures in the mind- many better known authors would do well to study his style. And Steven Pacey is a MARVEL. His vocal characterizations and accents are so solid, he brings each character to unique life, easily recognizable just by his voice. If you are looking for a new narrator to follow, look no further than Steven Pacey. I cannot give this book high enough marks for both story and reader!! Finest author in the genre. This is not a novel for children, or for fans of unicorns and pixies. As fantasy books go, Mr Abercrombie writes his novels with an amazingly realistic portrayal of his many flawed but entertaining characters. Dark, gritty full of black humor, these books actually get better as the series progresses. Fantastic narration. Just finished The Blade Itself - the first book in this series. 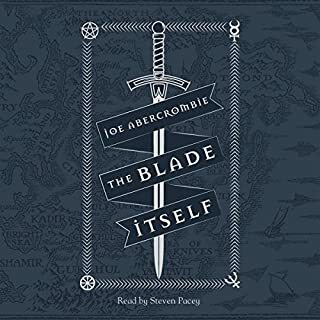 Beware: The audiobook for Blade Itself does not include the entire book and is missing the last 3 chapters. 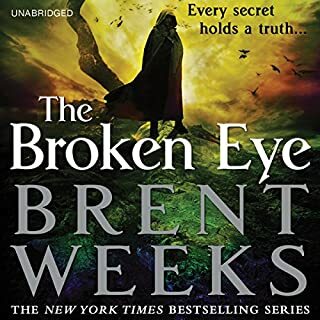 Audible has removed, I'm assuming to fix the issue. 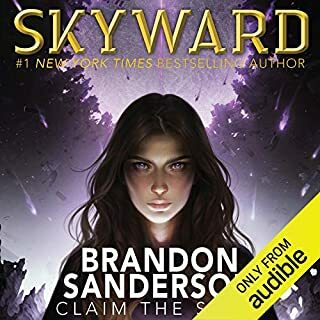 If you have not read the first book I would wait until they fix the audiobook before starting this one. With that said, I just started this book and am really liking the continuation of the story. The narration is fantastic (as in the first book) though read a little choppy during battle sequences. 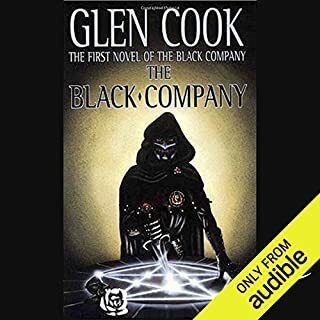 The narrator does a great job with the dialogue and infusing different character into each of the voices, especially Glokta. The writing style and dialogue is top notch. Anything Abercrombie has written to date is a treat. Note: not for the faint hearted. 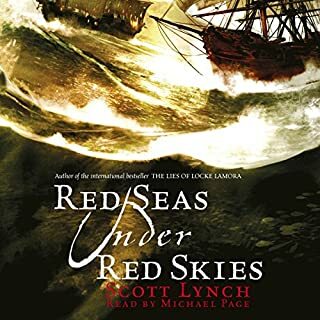 Great, engaging story with a GREAT narrator. SO good I can listen to it on a stairclimber and get through an hour wanting to work out more so I can keep listening. Very gritty story, not for delicate audiences. What other book might you compare Before They Are Hanged to and why? The first law series is an instant classic. GRR Martin fans are going to love it. The Performance is also top notch. 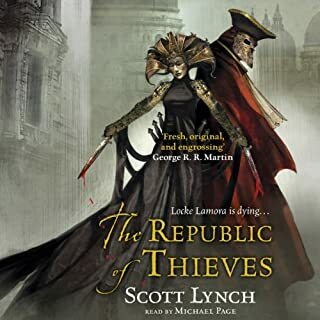 The best of lists for the sff genre will put this series near the top. 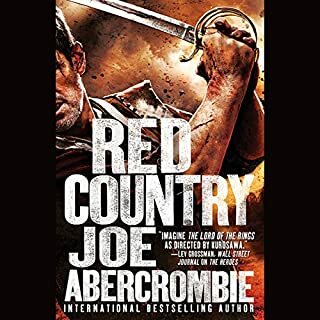 I am enjoying another Joe Abercrombie novel "Red Country". I don't know where we're headed, but I'm LOVING how we're getting there! 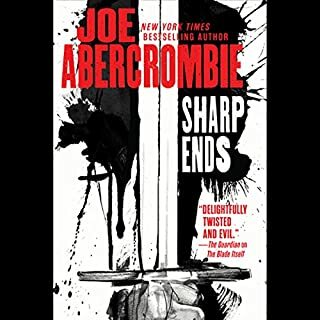 Joe Abercrombie does it again with the sequel to The Blade Itself. 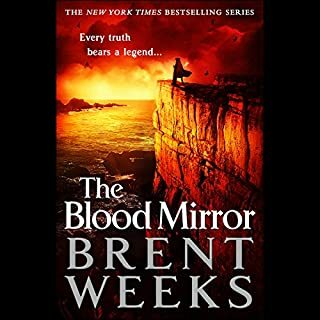 Another darker, grittier epic fantasy where the usual tropes and memes are turned on their heads, giving the same old chills and thrills we love of our usual epic fantasy, but with a more ominous and surprising edge. There are no pristine archetypes here, but rather a collection of flawed and fallible men and women struggling to do their . . . best . . . ? . . . worst? . . . well, definitely struggling, anyway. And as the story progresses you learn, organically and without chapters' worth of clumsy exposition, that some, if not all, of these characters aren't quite what they appear to be . . .
Can't wait to finish The Last Argument of Kings, which I downloaded directly the MINUTE I finished this book. fantastic once again from Abercrombie and just such a great sequel, can't wait to get the next one.